Pula is a town lying on the southwestern coast of Istria, on a bay with the islands of Uljanik, Sveti Andrija and Sveta Katarina. It is the largest town and the economic centre with a strategically very important and well-equipped port, and a permanent customs office. The most important of the numerous economic and industrial activities is the Uljanik shipyard which can build even the largest ships. Pula lies at the junction of important roads; one leads along the western coast of Istria, another one leads down the middle of the Istrian Peninsula and a third one connects Rijeka and Pula. There is an airport nearby. 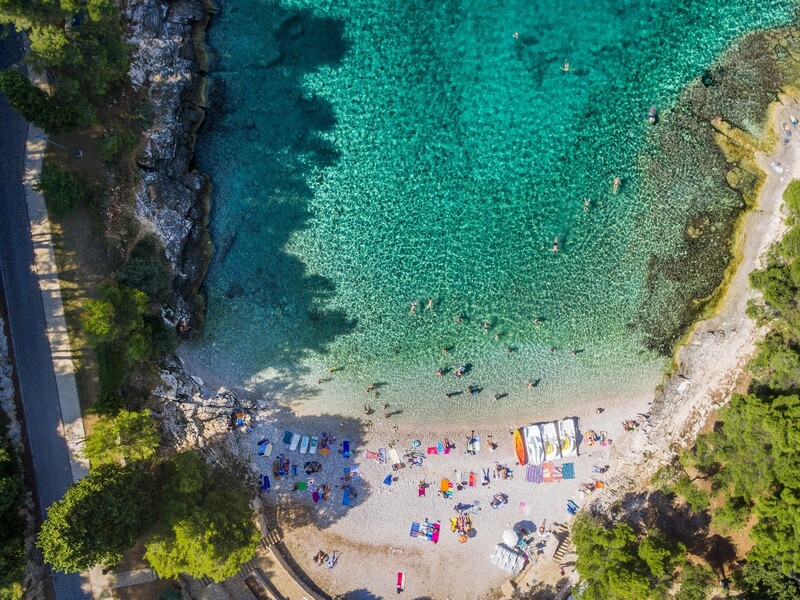 Due to its mild and propitious climate, long summers and beautiful autumns, evergreen vegetation, its very rugged coast and numerous preserved monuments from various periods in history, Pula with its environs is an attractive tourist centre. The development of tourism began after 1960, when the Zlatne stijene, Ribarska koliba and Verudela tourist complexes began to be built on the southern coast. Numerous findings testify to the fact that these parts were inhabited over 20,000 years ago. A simple stone tool was discovered in the Cave of Sandalj I. This was the first discovery of the remains of fossil hominids in Europe (2.5 million years BC to 800,000 BC). In the area of the present town, a prehistoric settlement once stood on a hill above the bay. 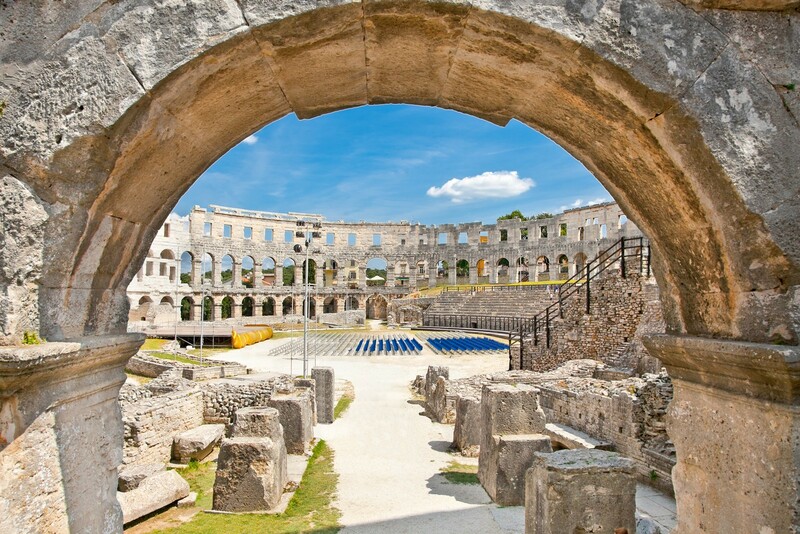 After the fall of the fortified lllyrian town of Nezakcij in 177 BC, Pula became the centre of southern Istria, first as a Roman military base, and in the 2nd century AD as the administrative centre of Istria. 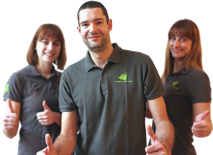 Numerous magnificent buildings that can still be admired today date back to that period. 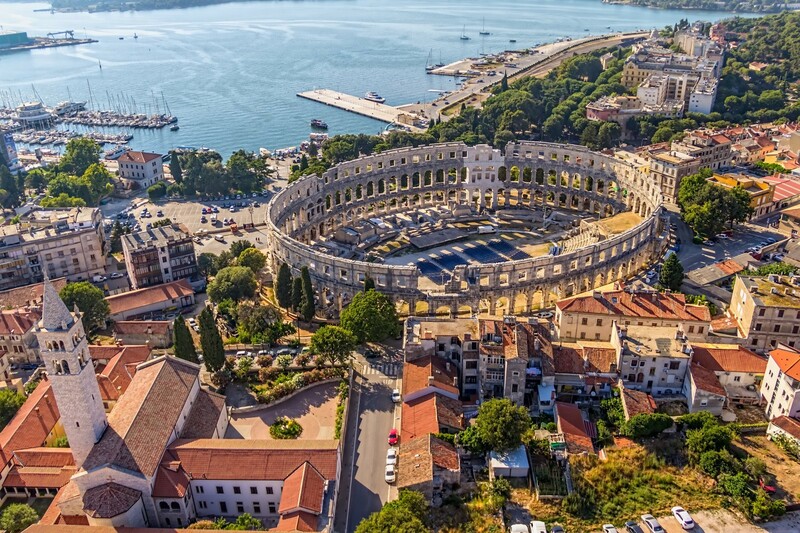 After the fall of the Roman empire in 476, Pula was ruled by the Ostrogoths, followed by the Byzantine empire and the Franks. In 1331, Pula came under Venetian rule, which was followed by an Austrian occupation. Under Austrian rule it became the main naval base and military port of the Austrian navy in 1848, which prompted its further development. After World War I, it was assigned to Italy. It was liberated during World War II by the Yugoslav army on May 5, 1945. With a peace treaty it was finally annexed to Croatia and Yugoslavia. 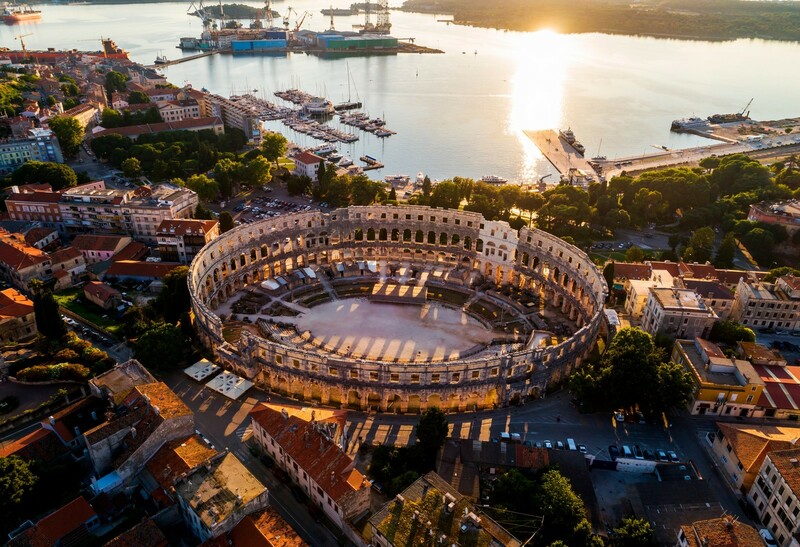 In its long history, Pula was frequently destroyed and pillaged, but never completely, which is the reason why so many monuments from all periods of its history have been preserved. The most important ones include the amphitheatre from the 1st century, parts of the old town wall, the Double Gate and Hercules' Gate, the Triumphal Arch of Sergius, an octagonal mausoleum, a parti-coloured mosaic in the May 1st Street, the remains of the Basilica of Marija Formoza (St. Mary Formosa), the Franciscan church and monastery, the Temple of Augustus, the town hall, the cathedral, the Orthodox Church of sv. Nikola (St. Nicholas), the castle, and the remains of a Roman theatre. There is a lot of diverse material on Istria, Cres and Losinj in the Archaeological Museum of Istria (opened in 1902). ACI MARINA PULA (052) 219-142, It offers 198 berths at a depth of up to 12 m, and 80 spaces for dry storage. The depth of the sea at the pier is 4.8 m. There is a workshop, a 10-ton lift and an engine repair shop. The town and the port are protected by the Muzilj Peninsula and a breakwater. The port and the marina themselves are nothing special, but they are important for visits to the numerous cultural monuments in the town. Within the port, boats can moor in several harbours and at piers at a depth between 2.5 and 7.9 m. The Valovine Bay at the Valovine campsite is exposed to the southwesterly winds. It is possible to anchor at a depth of around 6 m. The Stoja Bay at the Stoja campsite is exposed to the southerly and southeasterly winds. It is possible to anchor at a depth of around 8 m.
VERUDA TEHNOMONT MARINA (052) 211-033 630, A deep bay with a marina south of Pula. 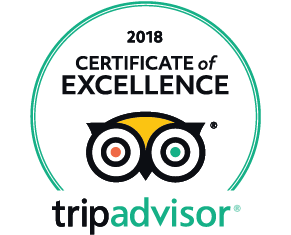 The Verudela tourist settlement with several hotels is located across from the marina berths at a depth of up to 4 m, 150 spaces for dry storage, a workshop, a 10-ton and a 40-ton lift. The depth of the sea at the pier is 2.5 m. The depth of the sea in the middle of the bay is around 12 m. Anchorage is possible only across from the marina near the shore to ensure a smooth passage of the boats headed to the end of the bay. The bay is protected from all winds and waves. The Pjescana uvala Cove is part of the Veruda Bay. It has a breakwater where 2 or 3 boats can moor, while other spaces are occupied by the locals. Many boats moor at the buoys. DUGA UVALA, A tourist settlement on the rugged Vinjole Bay in the southeastern part of the Istrian peninsula. It was completed in 1991. Four years later, a modern recreational health resort, which is part of the Croatia Hotel, was built as well. The bay provides a sufficient shelter for small boats. When entering the bay, beware of the shoal (0.3 m) at the entrance. The bay is exposed to the southeasterly wind, and the bora can also be quite dangerous. The boats can tie up to a low, 30-m-long pier. The depth of the sea at its head is 2 m.